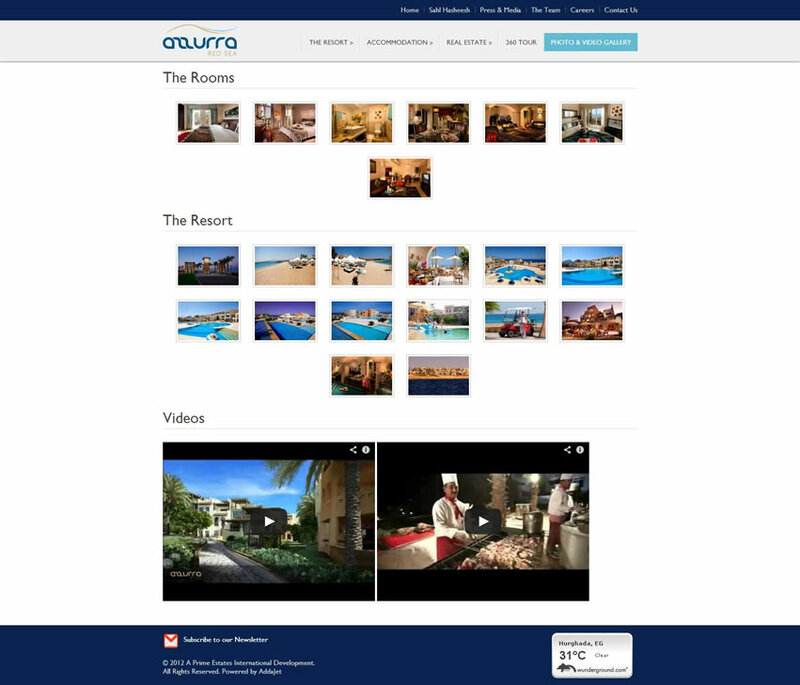 The Azzurra Red Sea, a compound in Sahl Hasheesh comprising of a hotel and luxury properties for sale, have worked with both Abakus Labs and their sister company addaJet.com to launch re-design their website and also integrate an online booking search engine. Abakus, which was in charge of the re-development of the website has worked close with the management of Azzurra Red Sea to offer a clean and user-friendly experience to the visitors. addaJet.com were also involved in the project with the integration of the online booking search engine addaJet, which enables users to directly book their stay to the website. 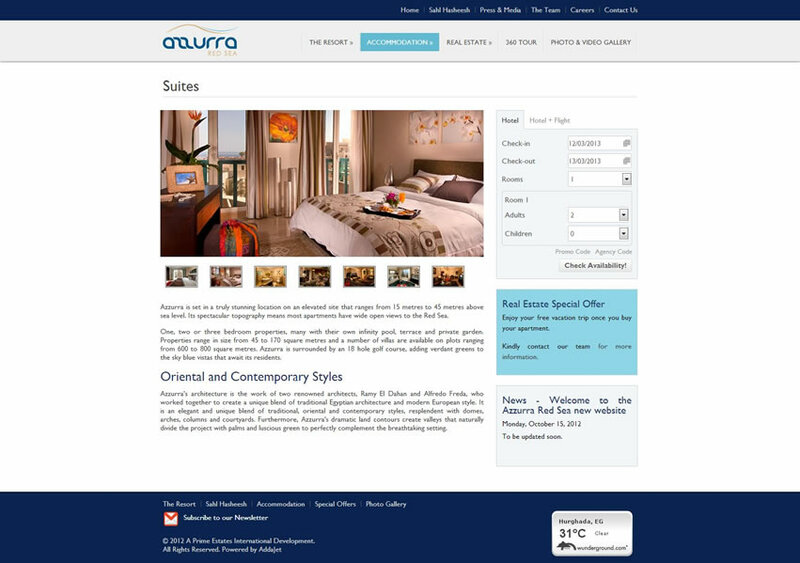 The website, which can be accessed through www.azzurra-redsea.com, is also an informational platform to its visitors as it features multiples pages and news about the resort.